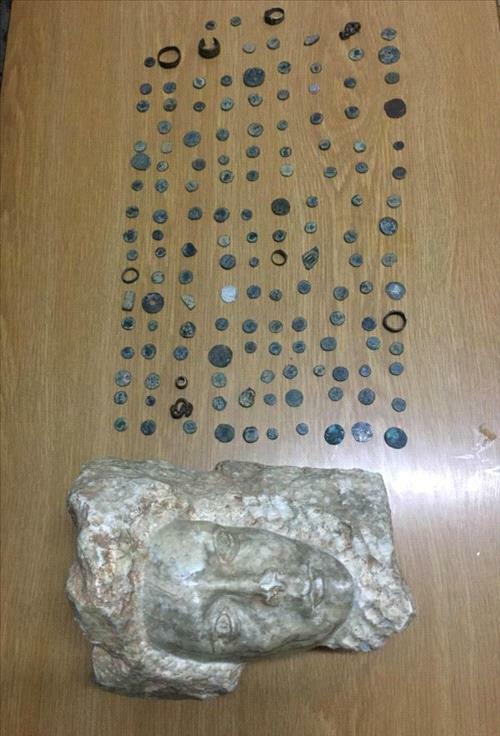 AMMONNEWS - Central Amman Preventive Security Department personnel arrested a suspect who was found in possession of a head of a granite statue and some143 artefacts, the Public Security Department (PSD) said Monday. In a statement, spokesperson of the PSD Lt. Colonel. Amer Sartawi said officers responded to a tip-off about a man who showcased artefacts for sale for a large sums of money. PSD personnel ambushed the suspect in Downtown Amman, while trying to sell some 143 pieces of artefacts and a head of granite statue . An investigation was initiated and the seized items were sent to antiquities' experts to judge the authenticity and historic value of the artefacts, the spokesperson added.